After shell craters examination OSCE observers came to conclusion that the shells had been fired from a north-north-eastern direction. On Tuesday, January 13 at Bugas military checkpoint not far from the town of Volnovakha on the territory controlled by Ukrainian forces a passenger bus came under fire. ten people died at the scene, 18 more injured. ПозжеShortly after two injured passengers died at a hospital. With no investigation Kiev immediately announced that militia had fired the bus from the East. «The investigation included comprehensive crater analysis of five specific blast craters, including the crater located 10 meters from the side of the passenger bus. In the special monitoring mission’s assessment all craters examined were caused by rockets fired from a north-north-eastern direction», — OSCE reported. Novorossian war developed into something heavy and sinister — once militia makes effective advance then mass and bloodcurdling civilians' death makes its way. Corpses are still warm but Ukraine has already appointed the one to blame — every time the same. Passenger bus tragedy followed the same scheme. The so called «anti-terroristic operation» command usually indifferent to the civilians' death immediately blamed militia for death and injuries of twenty people. 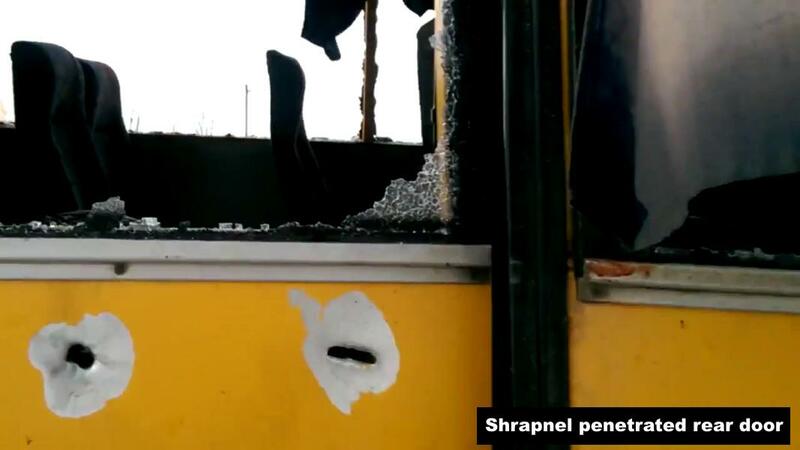 According to Ukrainian version the bus was hit either by shell or by «GRAD» fired by Novorossian forces. The observers stopped short of identifying the type of rockets used, or pointing fingers at any party of the conflict. 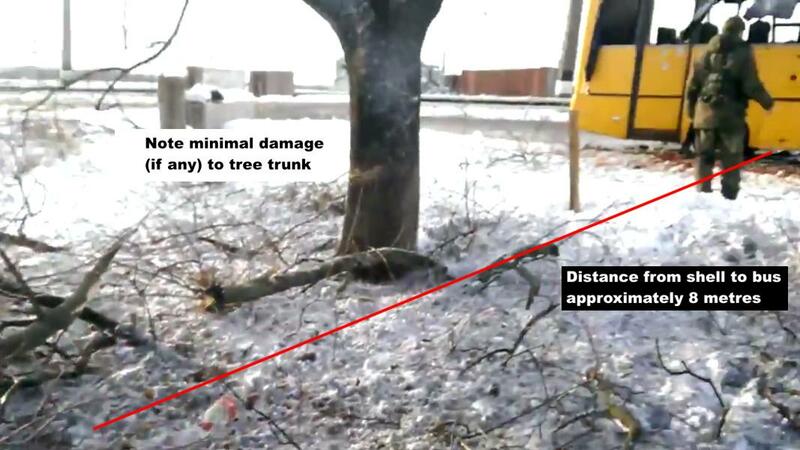 In its first report, the SMM cited Ukrainian officials as «confirming» that it was a «Grad rocket» that struck near the bus, although some experts still believe the damage to the bus is also consistent with a landmine explosion. 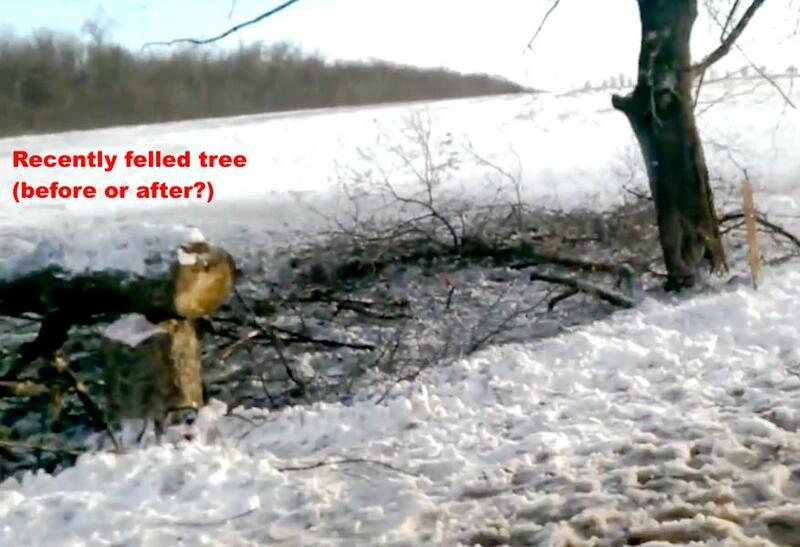 As the lastest videodata shows — Volnovakha bus was blasted by landmine and shot.